From 2017 to 2018, viewership for one of NASCAR’s most popular races (the top division’s spring race at Talladega Superspeedway) dropped a staggering 20%. 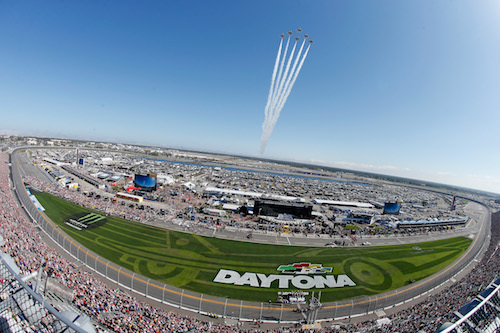 Another shocking reality is that the Daytona 500 (essentially, NASCAR’s version of the Super Bowl) received the lowest television rating in its history. These recent statistics likely won’t come as a surprise to most fans, as ratings and attendance at races across the country have been steadily declining for over a decade. After being around for 70 years, it’s time for NASCAR to create a plan to once again appeal to its dedicated, former, and potential fans alike. Although time can only tell how NASCAR will regain its popularity, there are several strategies that seem effective for the long-term. Although it may sound like a terrifying notion to longtime fans of the sport, the dramatic decline in race attendance and viewership demand dramatic action. If the sport is going to survive over the next few decades, selling NASCAR is almost inevitable. Over the last month, it has been rumored that the France family (NASCAR’s owners) have been in talks to sell the organization. While details of a possible sale have not been released, this move could prove to be a smart one in the next few years. Not only would the sale of the sport have the potential to revitalize its image, but also to solve root cause issues that have recently plagued the organization (e.g. challenges finding sponsors). The longevity of NASCAR also depends on its ability to draw in new and younger fans. The sport has a huge opportunity to attract the many millennials who have an interest in cars and trucks. To reverse the trend of declining viewership, NASCAR must make a meaningful effort to appeal to millennials by rebranding. One way to achieve this is to distance the sport from the perception of it being a “Southern” sport. While some efforts have been made to do this already, a total rebranding is in order to help more people identify with the organization and its drivers. In the early 2000s and prior, it was uncommon to see less than the maximum 43 race competitors in NASCAR’s top two divisions. In fact, even more drivers would show up to qualifying in hopes of securing a spot to race. In 2018, it is the new norm to see under 40 drivers compete each week. With the rising costs of owning and running a NASCAR team, more efforts need to be made to allow more drivers to compete and be competitive. Rather than only seeing a handful of teams with the most funding win each week, a return to a full field and more competition is needed. How will NASCAR ultimately make its comeback from declining attendance and viewership? As mentioned earlier, only time will tell. However, in order to get the organization moving in the right direction, the above strategies are likely going to be the best plan for long-term survival.